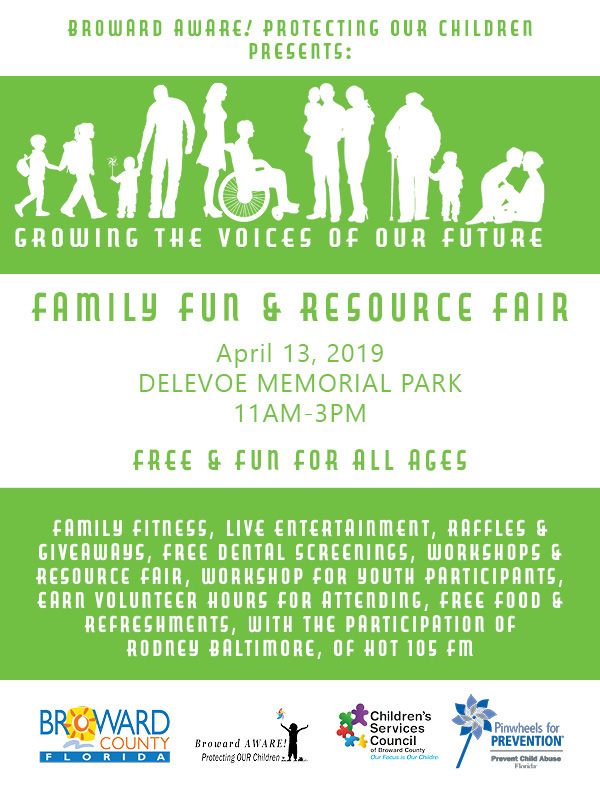 A sub-theme of the 33311 Walk and Family Festival will be “Knowing Your History”, highlighting the importance of celebrating accomplishments, learning from the past and creating a brighter future. The launch will be the first of five community events throughout the four-month campaign that will culminate in April, during Child Abuse Prevention Month. 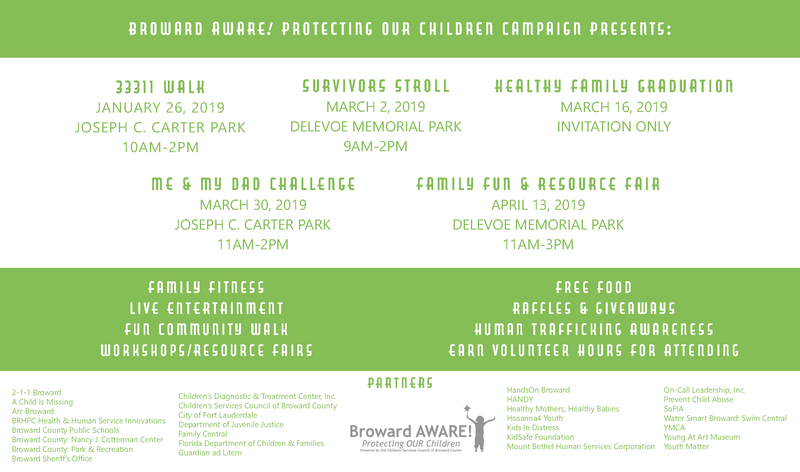 For more videos about Broward AWARE! and everything else connected to CSC, visit our YouTube page. Click HERE to read about how the startling toll on children who witness domestic violence is just now being understood.